The theme of the 2019 edition is RE:load. Reload yourself. 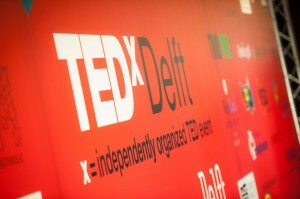 TEDxDelft guarantees new theories and points of view. RE:think. RE:start. RE:evaluate the things you believe are determined. TEDxDelft RE:load reminds you that nothing is what it looks like and it challenges you to open your mind. TEDxDelft tickets include side events, four performances and a dinner which will score high on the scale of amazement and stimulate all the senses. The side events respond to the needs of visitors during the breakout. At RE:treat visitors can rest, at RE:fresh you can recharge, and at RE:cap you can reflect, evaluate and discuss the topics of the day. Tickets are available for students (€ 25,00) and private individuals (€ 40,00). Early birds get a discount of € 5,00 (limited sales). Over the next couple of weeks, we will update our website with more information about the theme, speakers and more. Stay tuned. 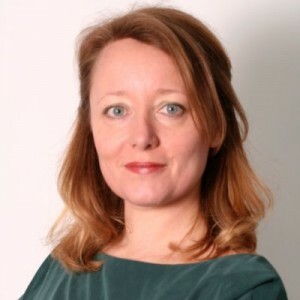 https://www.tedxdelft.nl/wp-content/uploads/2019/03/tedx_insta_01_v4.jpg 1600 1600 Feli Hansen https://www.tedxdelft.nl/wp-content/uploads/2016/02/TEDxDelftLogoWebsite.jpg Feli Hansen2019-03-14 10:50:412019-04-11 11:53:30TEDxDelft 2019 | June 6 | Save the Date! Are you running late? Do you have a meeting until 4? Have friends and relatives who couldn’t make it? Then why not livestream TEDxDelft 2018. All the talks, entertainment and banter in between can be streamed to phones and laptops everywhere. TEDxDelft 2018 | March 22 | Save the Date! Let great ideas inspire you. On March 22, 2018, TEDxDelft returns with an impressive panel of speakers, cutting-edge ideas, inspirational stories and fun side events. Tickets will be on sale soon, so make sure you circle the date on your calendar. https://www.tedxdelft.nl/wp-content/uploads/2017/10/Save-the-date-logo.jpg 201 386 Anouk de Ruiter https://www.tedxdelft.nl/wp-content/uploads/2016/02/TEDxDelftLogoWebsite.jpg Anouk de Ruiter2017-10-29 17:33:452018-01-25 16:48:13TEDxDelft 2018 | March 22 | Save the Date! 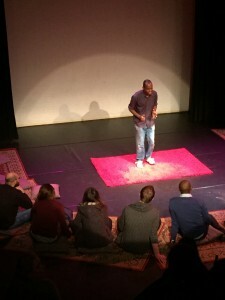 TEDxDelftSalon was back in theatre De Veste on Sunday 28 May (from 3PM) with three live speakers and a surprise act. The theme is “Boost Your Senses”. TEDxDelft is back in 2017 kicking off with a TEDxDelft Salon event around TEDxDelft itself. Everything you always wanted to know about curating (selecting speakers), organizing, volunteering, coaching, theming etc. 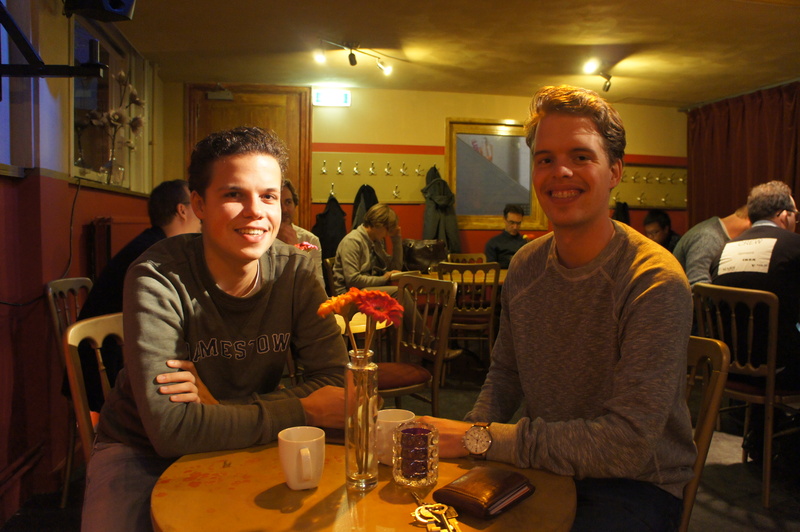 We (the TEDxDelft veterans) are going to tell you how we do things and why. We will also show our favorite TED videos but the most important thing: we need your opinion on TEDxDelft and suggestions for the events to come. We need your input on every aspect of the next TEDxDelft events so bring you creativity to Theater de Veste because we would want you to help us re-invent TEDxDelft. Like the Facebook event and register. On Thursday 24 April starting at 20:00 TEDxDelft will host a new Cinema event at the Rietveld Theater. The theme for the upcoming event is ‘Vermeer then and now’. The event will be held in English and admittance is free. So share this with friends and family, and come join us for an evening of interesting talks, fun company and a good movie. “At a certain point I was starting to wonder how it is possible that after donating money for so many years there still is poverty,” said Karen Kammeraat. For the freelance consultant, it was obvious that simply giving money to charity was not going to cut it. Born in Vlissingen, Kammeraat enrolled at the Delft University of Technology where she studied Industrial Design Engineering. From there, she started working for a company where she helped work on a database with regards to regulations, standards and issues for exporters and producers in developing countries. From then on the rest of her career always had ties with the developing world, including a spell working in Tanzania as a freelance consultant as well as working for Oxfam Novib. As part of her job Kammeraat is regularly in contact with local producers, thus gaining first-hand knowledge of the situation. This has also provided her with valuable insight into the effectiveness of charities and incentivized her to continue further research into the economic performance of developing countries. “I read a lot about international trade and found that for a large part the way we conduct trade with developing countries is unfair,” she said. 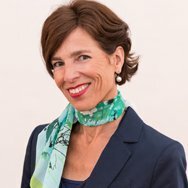 Interested to hear how Karen Kammeraat thinks we can all help fight poverty in developing countries? Then come join us Sunday 20 March for the next TEDxDelft salon at Theater de Veste. “It is normal to see parents set boundaries for their children,” Esther van Fenema, psychiatrist, says. “As an adult however those restrictions are no longer there, there is complete freedom.” But, Van Fenema asks, is having all this freedom a good thing? Herein lies the crux of the matter for Van Fenema, the debate which she feels must be held. Though plenty of people can deal with this sense of freedom just fine, there are those for whom it can be overwhelming and detrimental to their health. Is freedom a good thing if it allows people to harm themselves or others? Discussing freedom can be a tricky topic, Van Fenema realizes. “If you question our freedom, you are easily demonized.” Yet it is a question she strongly feels must be asked, and is thrilled to discuss on the TEDxDelft stage. Are you curious to hear how Van Fenema views this debate, or wish to join in the debate yourself? Then buy your tickets now, join us on Friday 15 April and come celebrate the universal genius. Another year has come and almost gone. One in which two very successful large events took place, as well as several Salons and more recently the Storytelling and Cinema events. And 2016 looks set to be another year packed with exciting events too. Until then, however, it is time to relax, celebrate and enjoy the company of friends and family. At TEDxDelft we would like to wish you all a Merry Christmas and Happy New Year. On a dark December evening, people gathered at the Rietveld theater for an evening of storytelling. An evening of stories of the darkest night. The darkest night can be interpreted in many ways, says Ogutu Muraya, the evening’s storyteller. For writer Edgar Allen Poe it was his canvas, allowing him to paint stories. It has been a source of inspiration ever since mankind learned how to create fire, and gather around it on cold winter evenings to tell stories: tales of the dangers that lurk outside, starting out small but then turning into legends. Yet it is also a binary way of looking at things, black and white, light and dark. So what if it could be more complex. What if it could be a box of mysteries? The darkest night can mean anything to anyone, and with today’s technology people have a plethora of ways to express them. Its definition has changed throughout the centuries, from the dangers outdoors to something more demonic, or about mourning. But then in some cultures, remembering the dead is a celebration. The darkest night has always fascinated and inspired storytellers. The stories may have evolved throughout the ages, but in general, they are associated with fear, the absence of light. But rather than be scared of it, embrace it, and tell it. Make the darkest night shine bright. And with this even,t the year 2015 comes to a close for TEDxDelft. Fortunately, the events will keep on coming in 2016, with the first one taking place on 21 January 2016. We hope to see you all then for the next Cinema event. 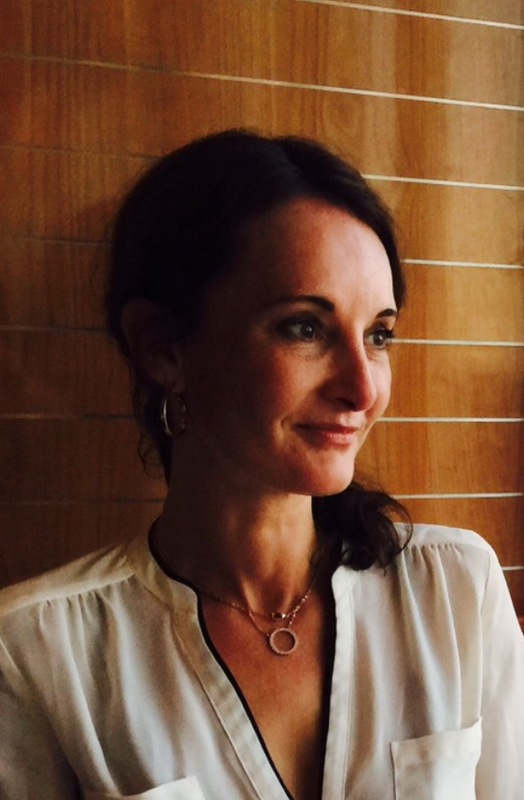 It is with great sadness that we at TEDxDelft have learnt of the passing of Karin van Paassen on Thursday 10 December 2015. Van Paassen, through her company Image & Styling, was one of the sponsors of TEDxDelft Women. Van Paassen was well known for her work as a styling consultant to both individuals and companies. Her goal was to help people make the right impression on their audience, by tailoring their wardrobe to match. Van Paassen completed several trainings and master classes before opening up her own clothing shop. After several years of combining her work at the store with consultancy, she eventually decided to dedicate her time fully to assisting people in finding their style and image. Our thoughts go out to the family and friends of Karin van Paassen. On Thursday 17 December TEDxDelft will host its second Storytelling event, starting at 20:00 at the Rietveld Theater. The theme for this evening will be “The Darkest Night”. Feel free to join us for an evening filled with interesting stories and TED videos. The event will be held in English and admission is free. Spread the word, tell friends and family, and come join us on 17 December! Communicating with the audience is a key activity for TEDxDelft.. Meet Ailie Conor, the TEDxDelft Communications Manager for social media, who oversees all of the content that goes on the social media accounts for TEDxDelft. “I have always enjoyed TED talks, and TEDxDelft is one of the more accessible TEDx events around, which piqued my interest – and it seemed like a great way to hear some cool ideas, and meet even cooler people!” Conor explained, when asked why she initially joined the team. 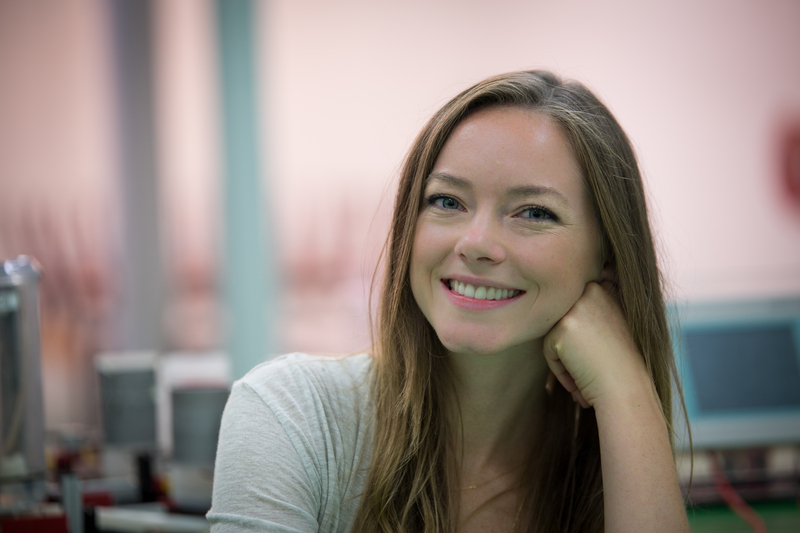 And it’s a great thing that she did, because of her extensive background in journalism and creative writing, Conor made an excellent addition to the team. She moved up quickly from assisting as a social media volunteer at the main event, to taking over all of the TEDxDelft social media, which entails planning the content throughout the year, and live-posting during the events. A lot of patience and coordination is required to fulfil this role. If you go to any TEDxDelft event, you will be sure to see Conor glued to her computer keeping the TEDxDelft audience tuned in to everything they need to know about the event that day. It is a lot of work and certainly a challenge, but count on Conor to keep her cool and deliver every single time. Not that long, only around 8 months. You worked as a volunteer for the social media during TEDxDelft 2015 and TEDxDelft Women. Who is your favorite speaker from a previous TEDxDelft conference and why? From TEDxDelft Women, I really enjoyed the talk by Dr. Sheetal Shah, about ‘Education in the Real World’. It’s so important to contextualise learning, and to teach students that there is no singular human experience. Theoretically if you could choose any one person, historical or fictional, to give a talk at TEDxDelft who would it be and why? I was reading the other day about Ching Shih, a woman in Qing China who was also a formidable pirate – she was a badass and I am pretty sure she would have some ideas worth spreading. I love gaming, board games and video games. Me and a group of friends play D&D on the regs. If you could give a TEDx talk, what would you talk about? If I had to give one, it would probably be ‘It’s okay to be angry’. Being angry about certain things doesn’t make you irrational, or delegitimise what you have to say – although I think this is a message we give out as a society. For any TEDxDelft event the speakers are the main component, so ensuring their needs are taken care of is a key priority. This year it falls to our Speaker Liaison, Sylvia Walsarie Wolff, Project Manager Educational and Student Affairs, to ensure the speakers are looked after. “I take care of all practical and organisational issues the speakers might have,” Walsarie explains. Whereas the Speaker Coaches help prepare the talks, they might also have other requests or queries. In these cases Walsarie is there to assist, making sure that the speakers have nothing to worry about and can focus on delivering their talks as best as they can. It is a role she is already very familiar with, having served the same function during the previous event, which she clearly relishes. “[It] is the best job of the team,” she says. Working for TEDxDelft is something that already motivates Walsarie in and of itself. “The people, the atmosphere, doing something completely different, stepping out of my comfort zone,” she replies when asked why she joined the organisation. Given the demands of the role, there can be no doubt that the position of Speaker Liaison will be every bit as inspiring to her. With Walsarie looking after the speakers, all they will have to do is focus on giving the talks of their lives. I coordinated the entrance & wardrobe volunteers team in 2013, and was asked as Speaker Liaison for the February 2015 event. 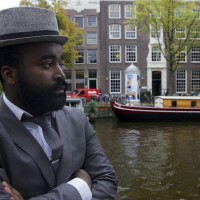 Who is your favourite speaker from a previous TEDxDelft conference and why? Jacqueline Kennedy Onassis, because I think she is a beautiful and strong woman who managed to pick up a life after losing her unfaithful husband in the most horrible way. I dream of having a vintage fashion hangout where I serve jasmine tea and homemade Indonesian snacks. I could never give a TEDx talk. Behind every successful TED talk, there is a coach who makes sure that the speaker is at his or her absolute best on D-day. For TEDxDelft, that person is the Head Coach for speakers Jonathan Talbott. In this role, Talbott, founder of Talbott International Presentations, will be the architect behind many of its mind blowing talks. 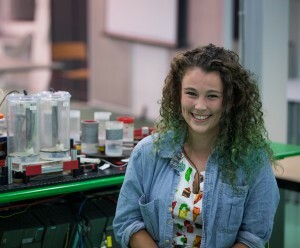 Talbott joined the organisation in November 2014 and has since helped prepare many talks for a variety of TEDxDelft events organised during the past year. Given his background, Talbott seems like a good fit for his current role, helping people bring out their message as best as possible. “I want to be sure that, if someone has an idea worth spreading, it gets spread.” Talbott explains, when asked how he identifies himself with TED. As the head coach, he organizes his team of ten speaker coaches and together, they support the speakers as they develop, rehearse and intensify their TEDx talks. It is no surprise then that the reason Talbott got involved with TEDxDelft was the quality of the talks. “TEDx talks are the gold standard for presentations.” he explains. It will be up to Talbott and his team to ensure that the speakers for this season’s events will make as big an impact as possible on stage. Which is no mean feat, given the limited amount of time the speakers have to present their idea. But with someone who is as engaged with the platform as Talbott is, count on him to uphold those gold standards for yet another season. I joined TEDxDelft in November 2014 and have worked with speakers at the 2015 main event, as well as for TEDxDelft Women, and all of last year’s Salons. Mileha Soneji (TEDxDelft 2015) who showed us what a “smarter world with simple solutions” could look like. Sofia Teixeira de Freitas. 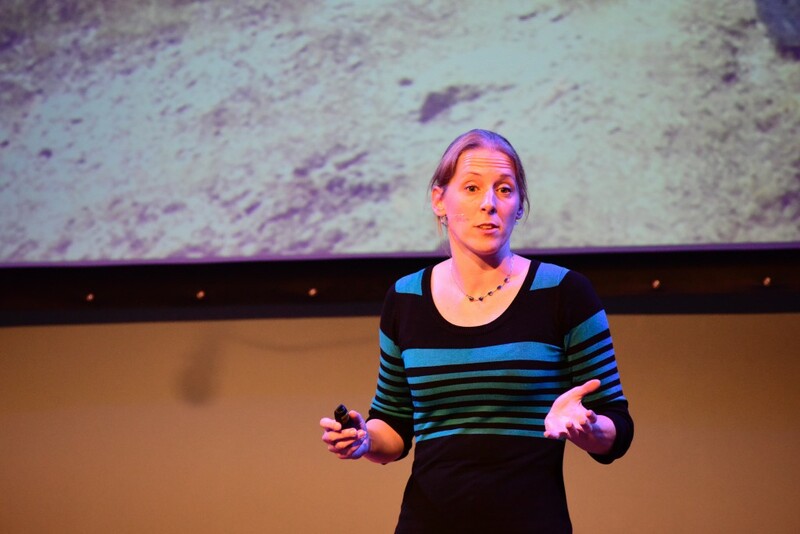 (TEDxDelft Salon, October 2015) used examples about building better airplanes, but really told us about why changing to sustainable materials is difficult. It was an emotional scientific talk. Simone Filipini (TEDxDelft Women) started off with “The world’s on fire and I’m pissed off!” and went on to encourage us to demand accountability from world leaders. Watch it and you’ll be on your feet, rushing to the barricades. I think that Albus Dumbledore would give a pretty interesting talk about inter-community relations. Cordelia, the youngest daughter of King Lear, would be able to tell us a thing or two about the complexity of human relations, as well. Well, there is the great big dome-shaped clay bread oven that I spent the last two summers building in Canada. And the renaissance and baroque violin career. 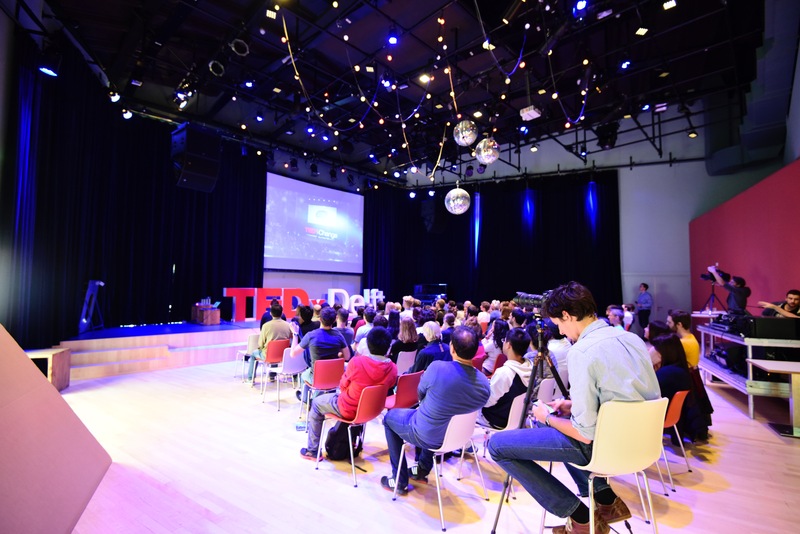 TEDxDelft 2015-2016 | TEDxDelft Salon | Thank you for coming! On Sunday 25 October the first TEDxDelft Salon of the new season was held in a packed theater. Close to 100 people visited the event to hear about climate change and three inspiring talks. Many factors contribute to the planet’s ecological system. Evaporation can have a significant impact on the availability of food, which makes it that much more important for research to continue being conducted on this process. The application of glue to the construction of airplanes can benefit the environment substantially. Another common material, cardboard, also has the potential to be used in ways which could greatly reduce waste. By changing perceptions,new ideas arise, all of which could have a positive impact on the environment. A big thank you to everyone who participated at the event. Hopefully the ideas which were presented will provide food for thought and inspiration. On Thursday November 19 we will be organizing our next event, a brand new type of event: TEDxDelft Cinema. We hope to see you all there! 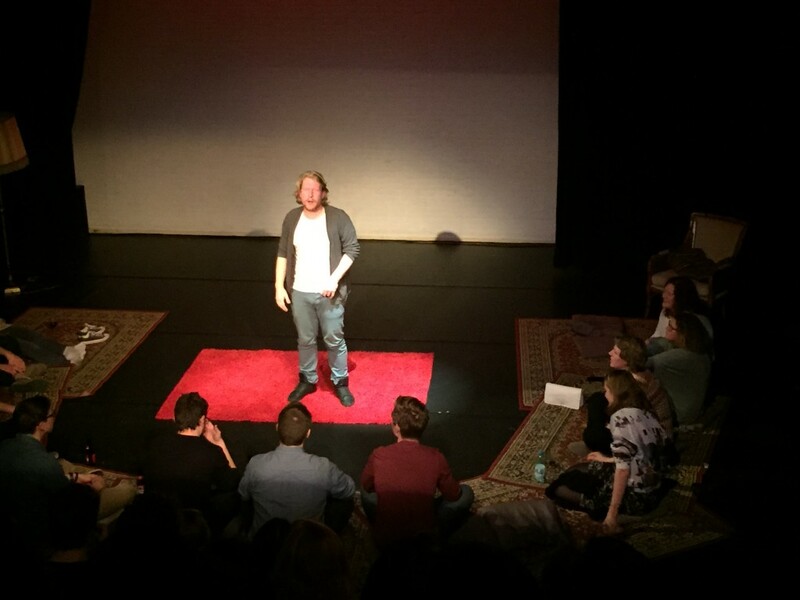 https://www.tedxdelft.nl/wp-content/uploads/2016/02/TEDxDelftLogoWebsite.jpg 0 0 Pierre Mathieu https://www.tedxdelft.nl/wp-content/uploads/2016/02/TEDxDelftLogoWebsite.jpg Pierre Mathieu2015-10-26 14:00:272015-10-26 11:28:48TEDxDelft 2015-2016 | TEDxDelft Salon | Thank you for coming! 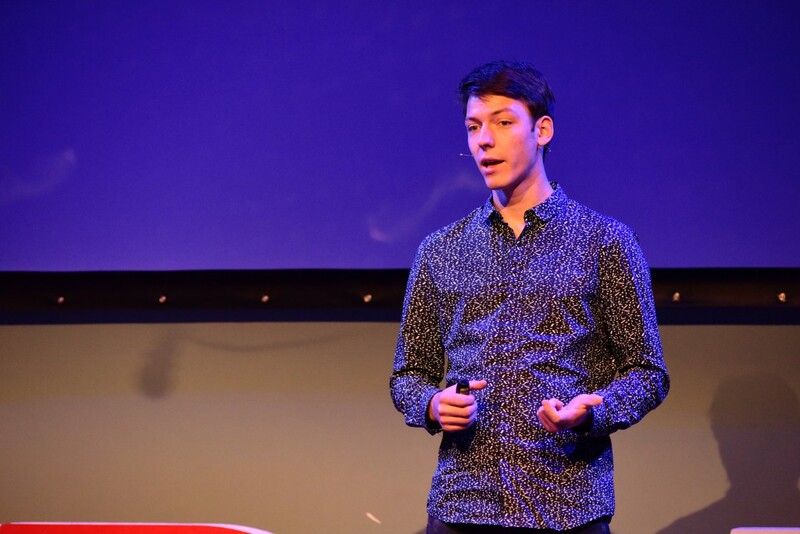 “Has anyone ever been to a festival, to a campsite, and noticed all the mess left behind after it has finished?” asks Wout Kommer, student at TU Delft and co-founder of KarTent. The solution to the waste left behind, he says, is cardboard. “In the Netherlands one out of every four people leave their rubbish behind when they leave a festival,” Kommer explains. For the organizers this poses huge problems, having to clean up the waste being left behind. “Can we create a tent that is dry, reliable and recyclable?” The answer, he says, is cardboard. Cardboard as a material meets all of these criteria. After several trials and tests, a cardboard tent which could withstand downpours was ready for use at festivals. Convincing the festival organizers and visitors proved a challenge, but slowly they are starting to come around. “Aircraft structures can almost resemble Swiss cheese,” says Sofia Teixeira de Freitas. Whilst this doesn’t bode well for safety in an aircraft, her solution is potentially more confronting. Air traffic accounts for 15 percent of all CO2 emissions from all transit sources. Fuel burned by aircraft has a huge environmental impact, but how to decrease this? 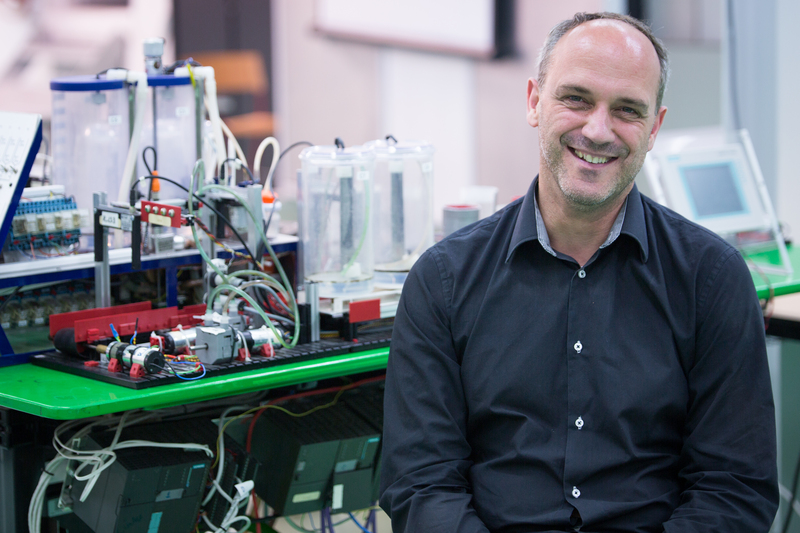 The best way, according to Teixeira de Freitas, is to make aircraft lighter and thus more sustainable. Airplanes are made up of numerous small pieces, which are assembled using rivets. “What people do not realise when you are drilling a hole in the structure, or your bed frame, is that you are introducing a weak point.” We compensate these weak points by making a plane thicker, making the aircraft heavier, expending more fuel and thus energy. How to negate this? It is simple: with glue. 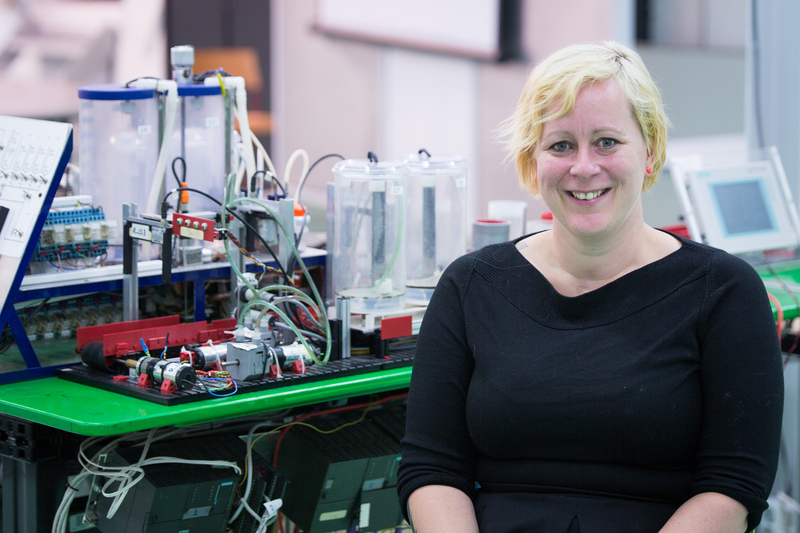 “What do you do on a hot summer’s day?” Miriam Coenders, Assistant Professor at TU Delft, asks. “Measure evaporation, of course.” Evaporation, she argues, is a crucial part of the ecosystem about which a lot is still left to learn. “Most evaporation does not take place where oceans are, but on land,” Coenders says. Evaporation is a difficult and complex process to investigate, yet it can have important consequences. Wet surfaces where crops grow lose water through evaporation, which can lead to loss of those crops. It is important to learn as much as possible about evaporation. “Evaporation is our source of water, not the springs in the mountains,” she explains. By employing new techniques, new data is being accumulated about this vital process of the Earth’s ecological system. Data which will hopefully help protect people against floods one day, and ensure food security for everyone. 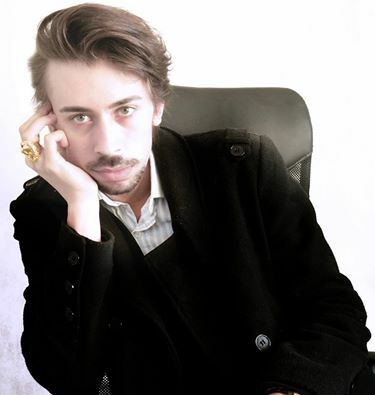 As the Marketing manager, von Novack is charged with all TEDxDelft communications, such as social media and blog. 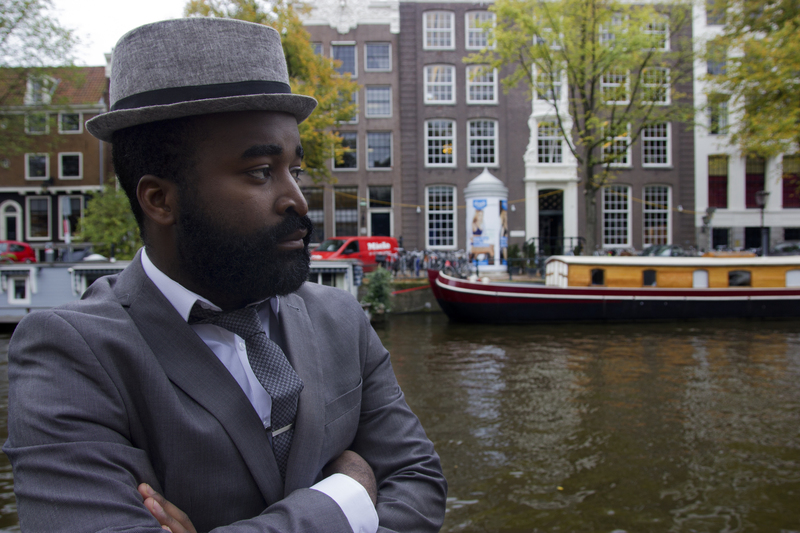 “My mission is to bring structure and data to TEDxDelft and enhance the experience of the attendants,” he explains. With every new season the organisation works to bring the experience to the next level. For von Novack one of the ways to achieve this will be by making better use of data analysis to improve communication to the public. Doing this is an important part in ensuring the annual goals will be achieved. Given his background and motivation throughout his career, von Novack is the perfect fit to take charge of the marketing for this new season. With the annual goals firmly in his sights, it is certain he will make sure that the TEDxDelft voice will be heard loud and clear. Boyan Slat and how the oceans can clean themselves. So inspiring, so visionary. One of the best, ever. Oscar Wilde would be a fabulous speaker. I think his aesthetic views, presence and boldness would still shock and amaze the world. I run 20 km three times a week and like to read at least one book per week. On how to be successful by being creative. 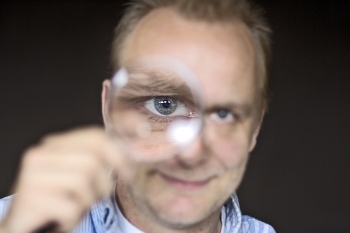 I even wrote a book about that, and translating the business vision into creative lenses is one of my passions. “Engagement coordinator!” is Rachel Richardson’s enthusiastic response when asked about her current role for TEDxDelft. “I manage and oversee the communications content for the events.” It is a role that suits Richardson, who works as a creative strategist, very well. And so Richardson moved her way through the organisation, from volunteering to leading the social media and blogging team for the new season. Given her previous roles at TEDxDelft working on social media, as well as her passion for the event, one can count on her to push TEDxDelft communications to the next level. 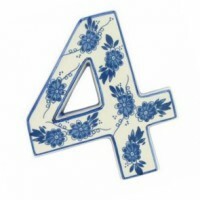 How long have you been part of the TEDxDelft team? I signed on in September of 2014. This will be my second event season to participate in. You operated as the social media manager of the TEDxDelftWomen’s conference. Who was your favorite speaker? That is tough, but, I would say Dr. Wioletta Ruszel because she was so passionate about math and how it is a part of all of our lives. I think math gets a bad rap and I like when it’s given positive attention. I would love to hear Charlie Chaplin speak. I think he would give, not only an informative talk, but I imagine he would mix in a bit of his fumbling charm to make it visually entertaining as well. He was a great activist in his time, and he used his films to convey serious messages that were wrapped inside of a comedic package. I imagine his talk would be really inspiring. I think I am pretty upfront about my hobbies, even at work. I love eating. Probably more than I should admit. I like trying new restaurants and cuisines. Come to think of it, I should probably get some hobbies that don’t include food. I love to travel too! Since moving to the Netherlands, I have had the chance to see a lot of wonderful new places that I had not seen before, and eat a lot of delicious food I had not tried before. First, I would have to overcome my stammering fear of speaking to a large group of people. Then I might give a talk on how to overcome your stammering fear of speaking to a large group of people. Or, maybe I would talk about the importance of loving yourself – I do always enjoy the feel-good talks. 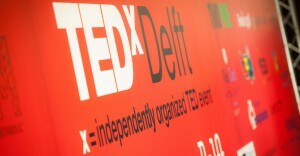 A new season means new TEDxDelft events to attend and enjoy. On Thursday 15 October at 20:00 we will kick off the season with a completely new type of event: TEDxDelft stories. The theme for this event will be: Stories from childhood. If this sounds interesting, feel free to come join us. For more details on the event, click here to learn more. Side activities can make a great addition to a TEDxDelft event. For the new season it falls to Ellen Rietveld, Floor Coordinator, to ensure they run smoothly. “I coordinate the side activities for all the events. I make sure the space and facilities are available, and that people know when they are expected.” It is a position which should suit Rietveld, a freelance business assistant, like a glove. Combined with her experience from TEDxDelft events, Rietveld will be well placed to coordinate the side activities for this season’s events. 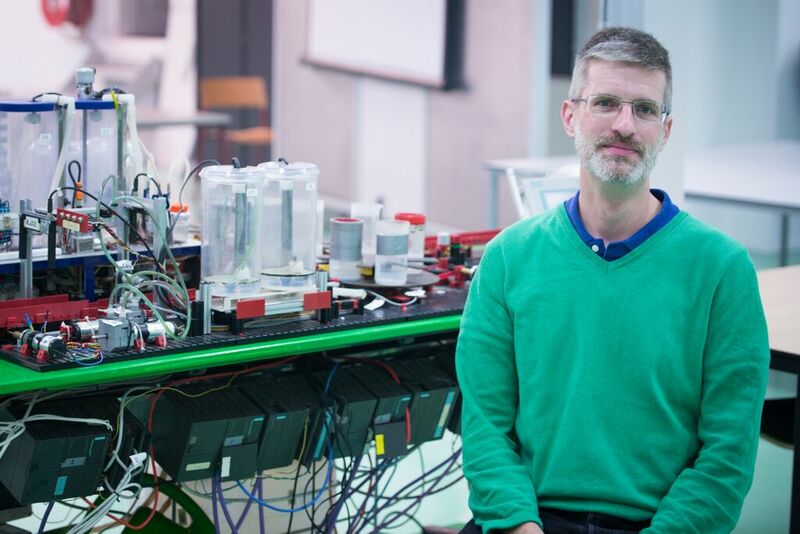 Working with different people to arrange the side events, one can be sure that Rietveld will ensure a smooth running operation beyond the TEDxDelft stage. This will be my third edition, starting out as room monitor and person-that-moves-photos-from-memory-cards-to-the-blog-space via volunteer coordination, to now being part of the organizing team. Who is your favorite speaker from a previous TEDxDelft conference and why? Dorothy Grandia at this year’s first TEDxDelft Women, ‘Authenticity is a dangerous word’. Great energy, and hell yeah, so what if it doesn’t feel authentic to act confident? Get over it! Theoretically if you could choose any one person, historical or fictional, to give a talk at TEDxDelft, who would it be and why? Traveling and planning to travel are my favorite waste of time. If, and that’s a big if, I would ever find the nerve, it would be about language and words, Paulien-Cornelisse-style. The speakers are what make TEDx a unique platform. 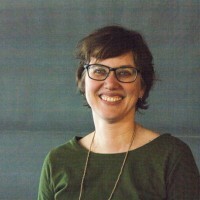 For TEDxDelft, Head Curator Caryn ’t Hart de Wijkerslooth, communications lecturer at TU Delft, is the one in charge of finding those with ideas worth spreading. “I am ultimately responsible for all of the creative decisions for TEDxDelft regarding theme, speakers, entertainment, and line-up,” she explains. Selecting the right speakers is something ’t Hart is well placed to do. For her work she would often show TEDx movies during her lectures, and from then on she was hooked. 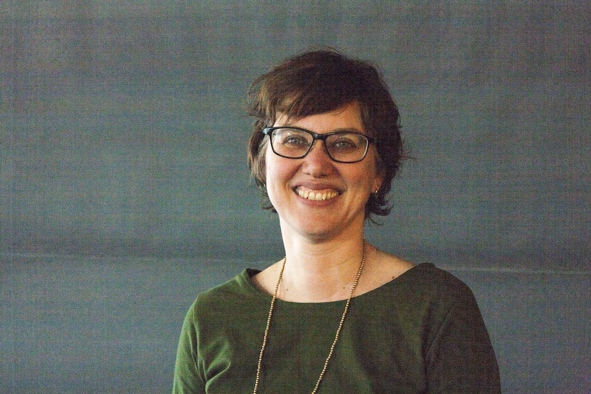 “Not only did my students like it a lot, I also fell in love with it more and more.” After visiting a local TEDx event and speaking with Rob Speekenbrink, TEDxDelft licensee, about her ideas on the event, she soon became a member of the organization. Finding the right speakers for this season’s main event and salons should therefore be no problem for ’t Hart. Together with two co-curators, she will ensure that the upcoming events will be a worthwhile experience for its visitors. 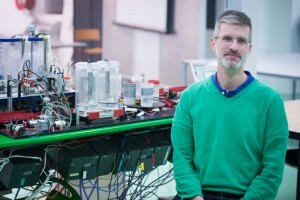 You operated as curator at the TEDxDelft 2015 conference. Who was your favorite speaker? They were all great in their own way! As a curator you can’t have a favorite. Lettie Hempstock from Neil Gaiman’s The Ocean At The End Of The Lane. She’s an eleven-year-old girl who’s been eleven for a really long time. Lettie can make an entire ocean of knowledge fit into a bucket of water. I love taking pictures. I tend to see a lot of beauty in this world and I want to grasp that and share it. In May 2015, Delft will host its very first TEDxDelftWomen event. Inspired by TEDWomen, this event will also explore the ‘power of women and girls to be creators and change-makers’ in their respective fields. The idea for TEDxDelft Women struck Manuela Damant (an NLP master coach & trainer who runs her own Coaching & Training company) and Sarah Brown (a cyber security expert with Fox-IT who formerly worked with NATO) during the course of a Lean-In circle they organise in Delft. They approached TEDxDelft’s online media coordinator Molly Quell, who in turn applied for and was awarded the official license for TEDxDelftWomen. “The event is open to anyone who is interested in the empowerment of women, the issues faced by them and supporting them within whatever framework they occupy. Our aim is to have women from across a broad spectrum share they stories of success and strife,” said Quell. Currently the team is working out a theme for the event, the venue and the list of speakers. They are also looking for volunteers, so anyone interested can write to molly@tedxdelft.nl. The event will be ticketed, but it will be held in English and is open to everyone. The TEDxDelft team is getting busier and busier. As we inch towards the big event (February 27 – save the date! ), there are TEDxDelft salons, innovation awards and lots of other exciting stuff coming up. To ensure that you get the news about them all subscribe to our newsletter today! The newsletter will highlight upcoming events and current news, linking you to our website or Facebook page for further information. It will also showcase presentations from previous TedxDelft events and have information related to registering and buying tickets for various events. Going out monthly (or twice a month) at the moment, it’s a nice little hub to on what’s going on at TEDxDelft. Sign up for it on our website and, as they said at TED, ‘get inspiration delivered straight to you’. 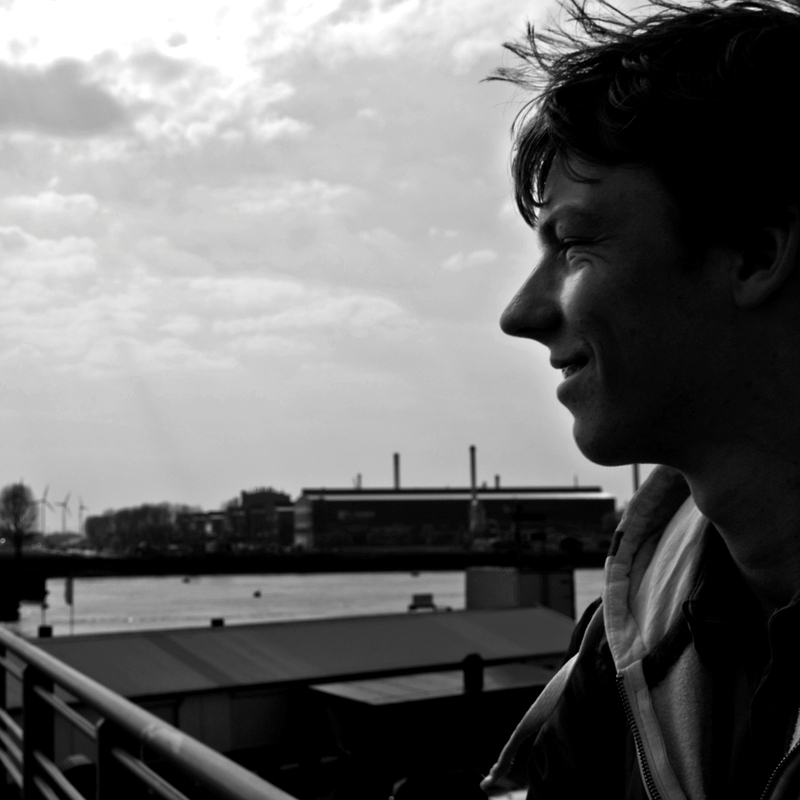 It is with great sadness that we announce the passing of one of our TEDxDelft volunteers. Hans Dalmeijer worked with us for the past several editions of TEDxDelft as a member of our webcare team. 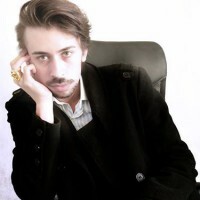 Though he earned a degree in landscape architecture, he became a writer, editor and journalist. 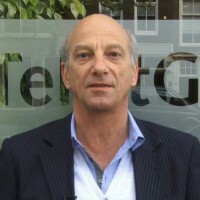 In 1994 found, he, with three others, founded De TekstGroep, a communication company that created magazines, annual reports and other publications. On July 29, 2014, Hans lost his battle with cancer. He will be greatly missed. TEDxDelft 2012| Can The Oceans Clean Themselves? 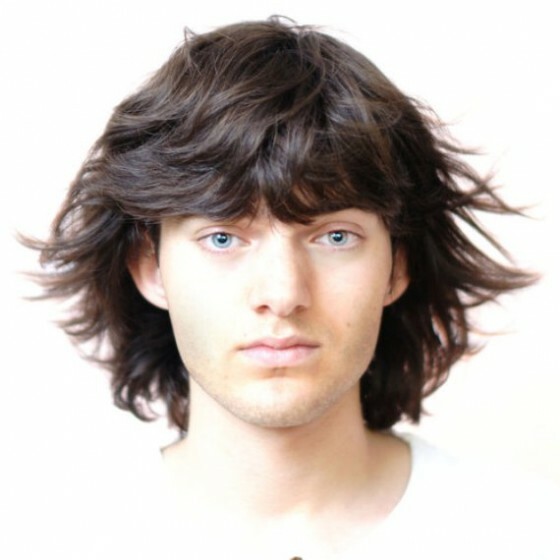 On October 5 2012, then 18-year-old Boyan Slat took the stage of the second ever TEDxDelft and presented his idea worth spreading: how the oceans can clean themselves. The video of his talk went around the world and vaulted Slat into the spotlight. Since then, Slat has undertaken a massive feasibility study, with students, business leaders and researchers in the field. After prolonged silence, on June 3 2014, Slat will announce the results of his study. Back in 2012, Slat was a natural on the stage and was the clear choice for the first talk of the day. We gave him 12 minutes to tell his story and he impressed the crowd, leaving the audience with a feeling of positivity for the remainder of the event. Several weeks after the event, we uploaded the video of his talk, where it was picked up by blogs and news organizations around the world. In 2013, we re-invited Slat to speak at the third TEDxDelft about how the publicity from his TEDxDelft appearance had changed his life. Coincidentally, on that day, the video of his initial talk reached one million views on YouTube. On October 4 2013, all Slat told the TEDxDelft audience was that the feasibility study was incomplete and it would not be ready until Spring 2014. Now the study is complete and we are awaiting the results of his study and wondering whether he has more than an idea worth spreading, an idea that will change the world. 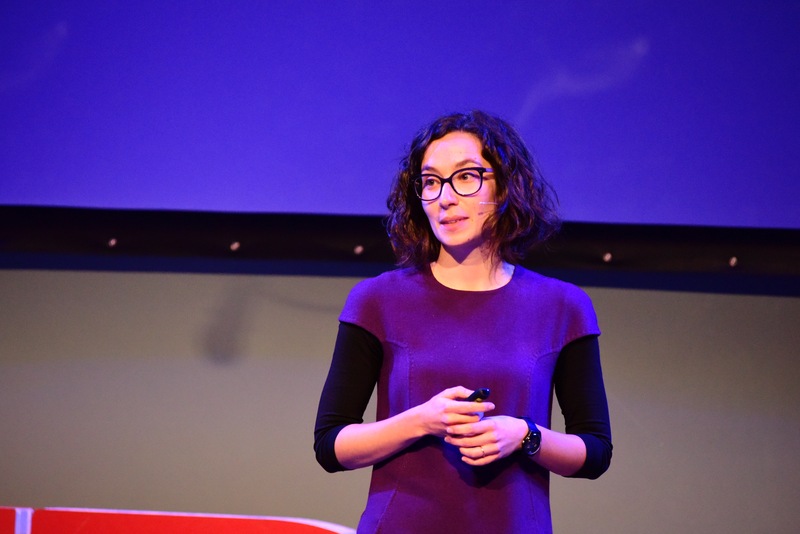 https://www.tedxdelft.nl/wp-content/uploads/2016/02/TEDxDelftLogoWebsite.jpg 0 0 Molly Quell https://www.tedxdelft.nl/wp-content/uploads/2016/02/TEDxDelftLogoWebsite.jpg Molly Quell2014-05-27 09:50:412015-08-01 06:44:55TEDxDelft 2012| Can The Oceans Clean Themselves? TEDxDelft 2013 | TEDxDelft presents…..Tangarine!! They say you should always save the good stuff for last…We have surely done that. We are presenting to you nothing less than…..Tangarine! 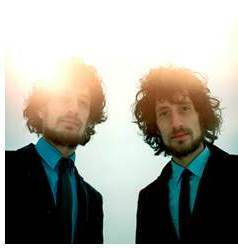 The brothers Sander & Arnout Brinks will be performing at TEDxDelft, October 4th. Tangarine – aka the hardest working twin in The Netherlands – has captured the attention of many music lovers in The Netherlands and beyond. https://www.tedxdelft.nl/wp-content/uploads/2016/02/TEDxDelftLogoWebsite.jpg 0 0 EvelineVreede https://www.tedxdelft.nl/wp-content/uploads/2016/02/TEDxDelftLogoWebsite.jpg EvelineVreede2013-09-25 13:00:532015-08-01 06:14:00TEDxDelft 2013 | TEDxDelft presents…..Tangarine!! TEDxDelft 2013 | Maarten Frens – What would you do if you were limitless? Imagine if you were able to be the best at whatever you wanted! Be it mastering a language, working out complicated mathematical equations, or being able to paint with the skills of van Gogh or Rembrandt – it’s all attainable. It wouldn’t be surprising if you thought that this was an introduction to a Tel Sell commercial playing in the background of sci-fi movie – but it may in fact be possible in the very near future. 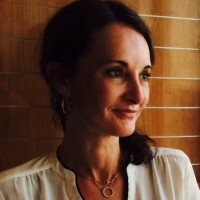 https://www.tedxdelft.nl/wp-content/uploads/2016/02/TEDxDelftLogoWebsite.jpg 0 0 Michelle van Duijn https://www.tedxdelft.nl/wp-content/uploads/2016/02/TEDxDelftLogoWebsite.jpg Michelle van Duijn2013-09-06 11:37:462015-08-01 06:08:46TEDxDelft 2013 | Maarten Frens - What would you do if you were limitless?